Thanks so much for all the fun weather reports yesterday! It was very enjoyable to realize that I wasn’t alone with the snow, and to read what was going on with readers in blogland. I worked most of the day on my bulky yarn shawl commission. Out of 76 rows to knit, I managed to knit 65 of them before my hands truly gave out. I’d say that’s pretty awesome. But, I’ve now got an odd blister on my right index finger from using size 13 needles. Such large needles are completely unusual for me, and apparently I knit differently with them. So, toward the evening, I needed to be doing something else. I popped a bunch of popcorn for Miss Bug and myself, and then settled in for an evening of hanging out with her and spinning. I finished the Smaug singles…. 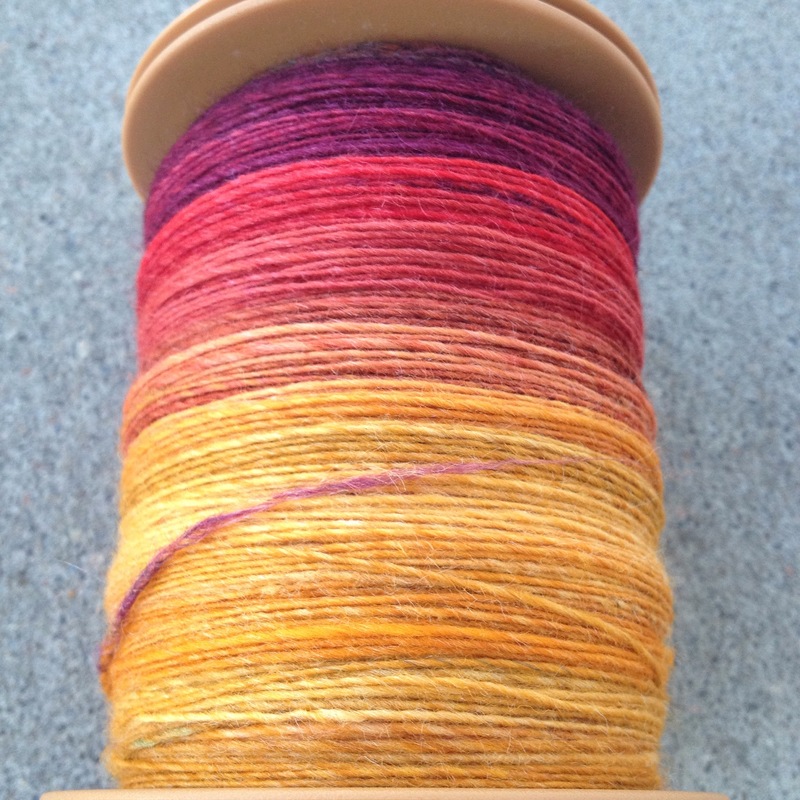 Then, I got to plying all the singles from The Dyeing Arts since my wheel was now free. I stayed up late to get that done, as it’s tough for me to just leave a half finished plying project hanging around the house. 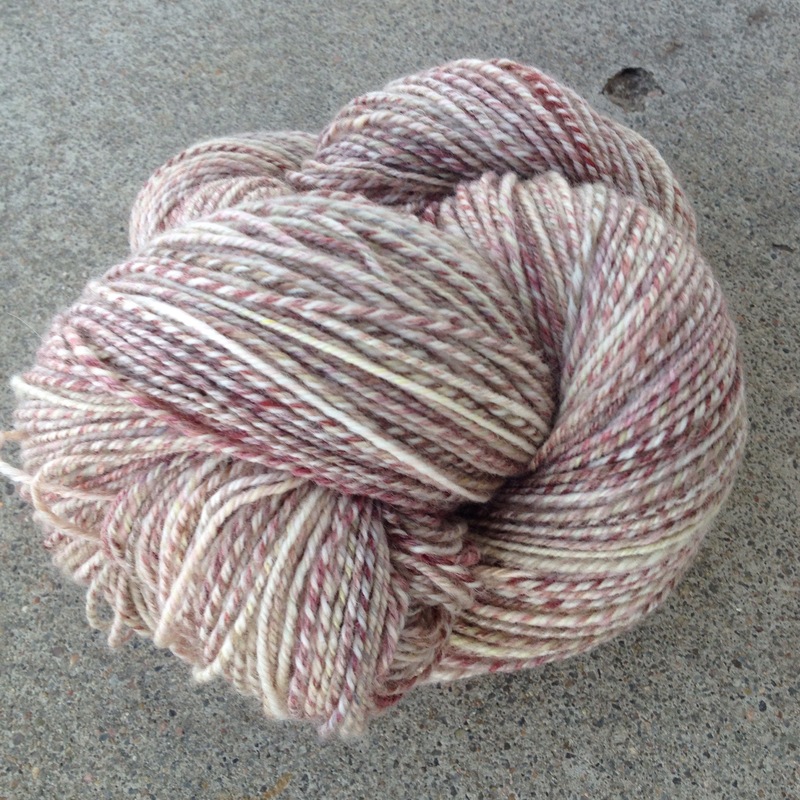 This one is a 3 ply yarn, and I am pretty sure I made something very similar in the past, but destashed it. So, it’s very pleasant to have this one in my stash. Comes out at 300 yards. This of course meant that I needed to pull out some new fiber. 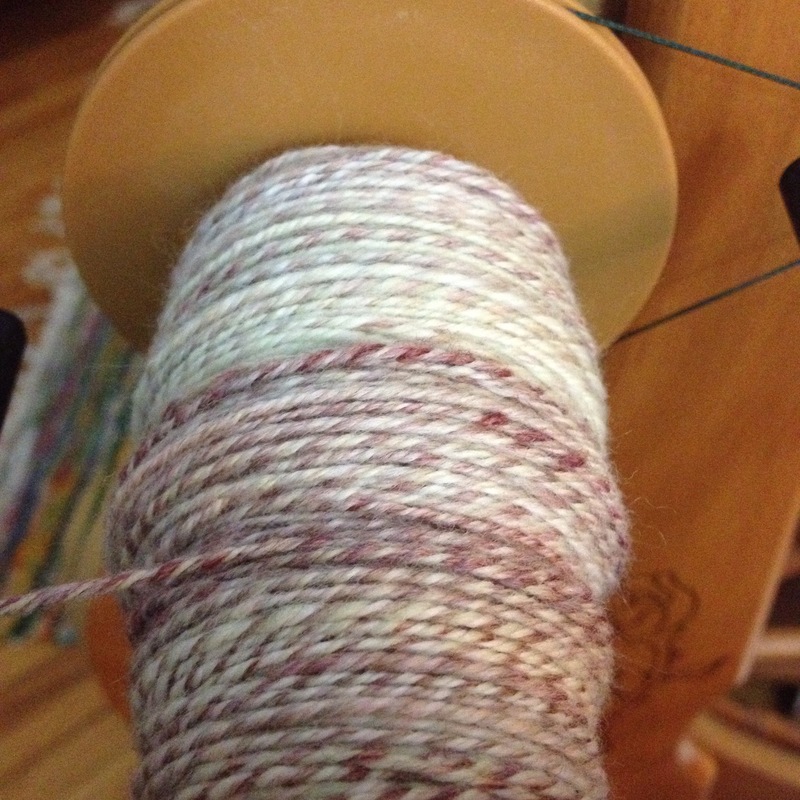 Up next on the wheel will be my Smaug batt, which I intend to ply with the just finished Smaug braid. So much gorgeousness! On the support spindles will be 60% wool 40% flax project. 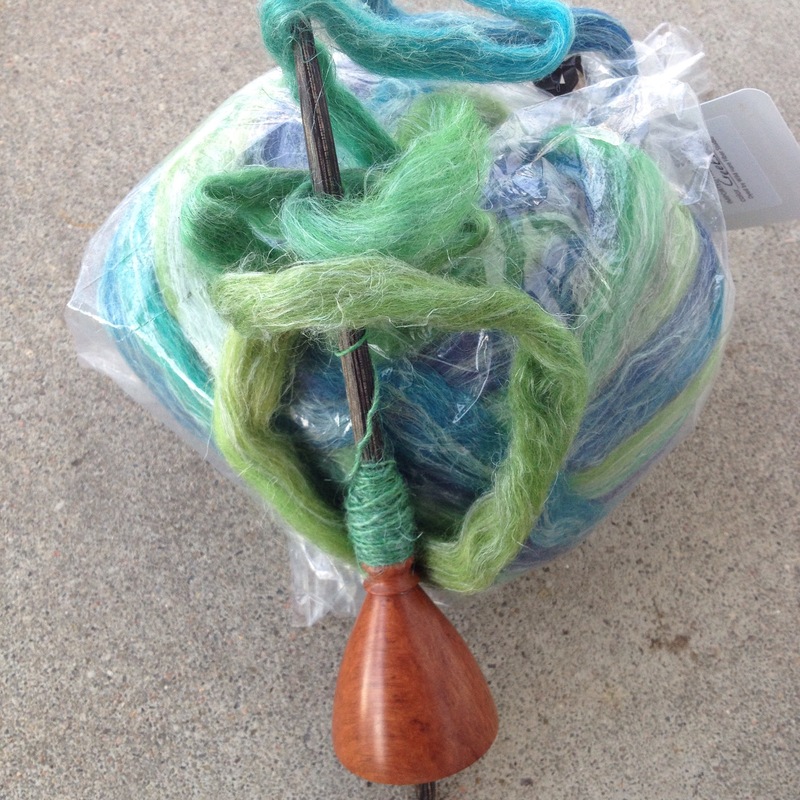 This is a completely new fiber combo to me, and I am eager to give it a try. And, for the drop spindles, an old project that I really need to get to work on. 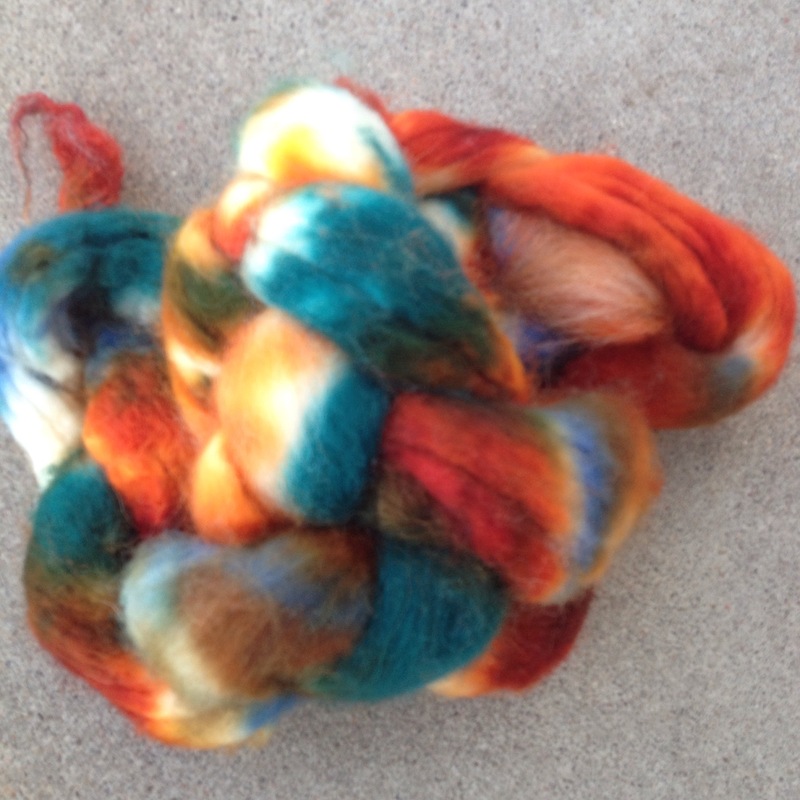 This is BFL that I dyed and have done a little spinning on, but not enough. I know this one was picture heavy, but I hope that’s a benefit. It’s been nice having snow days this week, but I am extremely happy there isn’t much more in the way of snow forecasted in the next 2 weeks. It’s tough to keep an orderly house when we are home all day! Love the colors in Smaug!!! Can’t wait to see it done. We got a sleeting and snow last night, but by the time I had to go out at noon it was pretty much melted.